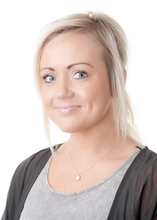 Charlotte manages Codeweavers' Marketing and both internal and external communications. She loves to keep customers updated on Codeweavers' new products and features and what is currently in the pipeline. Charlotte's main focus at Codeweavers is to make products even more customer friendly and guide customers through their journey with Codeweavers to increase business website interactions and help manage and convert their leads.